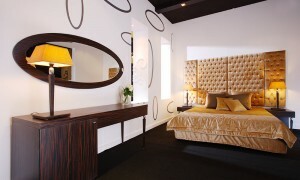 This elegant bedroom boasts a unique balance between modern angles .. The intricate combinations between French ornamental design and modest cool ..
Made with silver leaf, the elegant headboard provides a sense .. 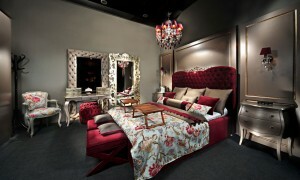 The Florea bedroom set is characterized by the hollowed floral .. The rich wood used in this bedroom set provides a .. The epitome of modern design, the Palmi bedroom utilizes sleek ..
Utilizing sectioned panels to create the bed’s headboard, this bedroom .. 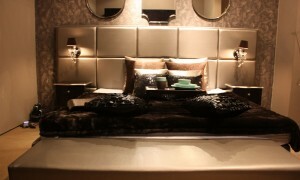 This plush and luxurious bedroom is inspired by the rich .. 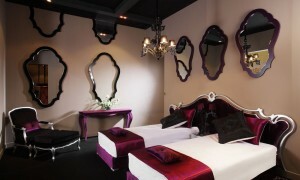 Combining both modern and classic design, the Samba Room includes .. 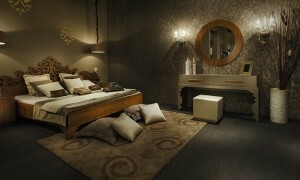 Inspired by modern elegance, the Val Room creates a sense ..
By utilizing distinctive cuts and designs, the May Fair Bedroom ..